Welcome to your child’s first year at school. Our teachers work closely together to provide a safe and stimulating environment in which your children can feel happy and secure. The Prep year is a very busy one! Every morning session during the week is dedicated to learning about reading, writing, spelling and speaking & listening in order to develop these fundamental skills. We aim to teach these skills in a fun and engaging way, so all children are enjoying their learning. 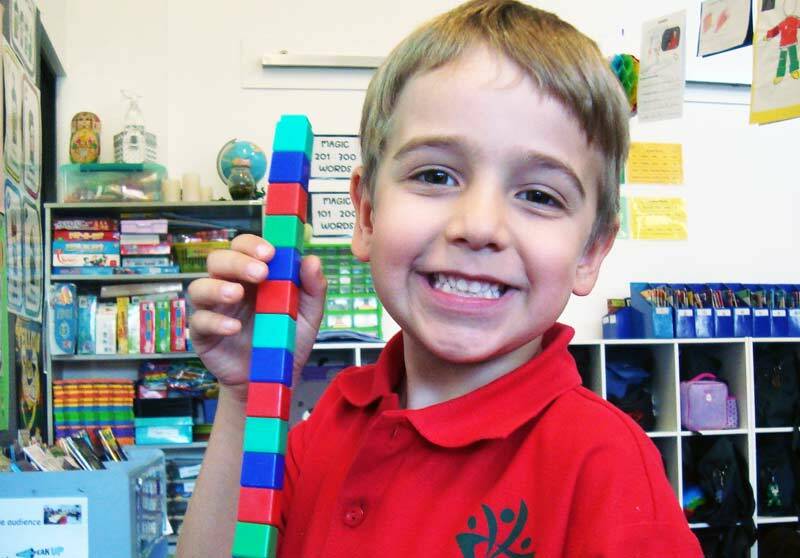 Mathematics has a very ‘hands-on’ approach in Prep. We learn about number, space, chance & data and measurement through a variety of interactive activities and games, in which we practice the numeracy skills that we will use throughout life. Social and emotional learning is an integral part of our program, ensuring children develop the skills to make friends, negotiate conflicts and bounce back after set backs. The implementation of the You Can Do It! program across the curriculum ensures our students are able to develop into confident, persistent, resilient, organised and friendly lifelong learners. Integrated Studies topics link our learning to the world around us. Our students learn through an investigative model, where they can make observations and predictions, research, draw conclusions and develop a variety of higher order thinking skills. Across all of these curriculum areas we regularly monitor and assess the progress of our students. We modify and alter our curriculum in order to ensure we are meeting the needs of each and every one of our students. Our students participate in Physical Education, LOTE – Italian, Library, Visual Arts and Music classes each week. Prep students also participate in a range of annual events across the school including our Mid-Year Concert, Cross Country, Athletics Day, Multicultural Day and Swimming. Our Prep/Year 5 buddy program is also a highlight for our students, and develops close bonds between our students, which for some children last many years after school. Parents are encouraged to be actively involved in their child’s school and education, through assisting at school during morning reading, reading rotations, PMP and excursions. We look forward to working together with you to ensure that your child has the best possible start to their schooling at Belle Vue Primary School.